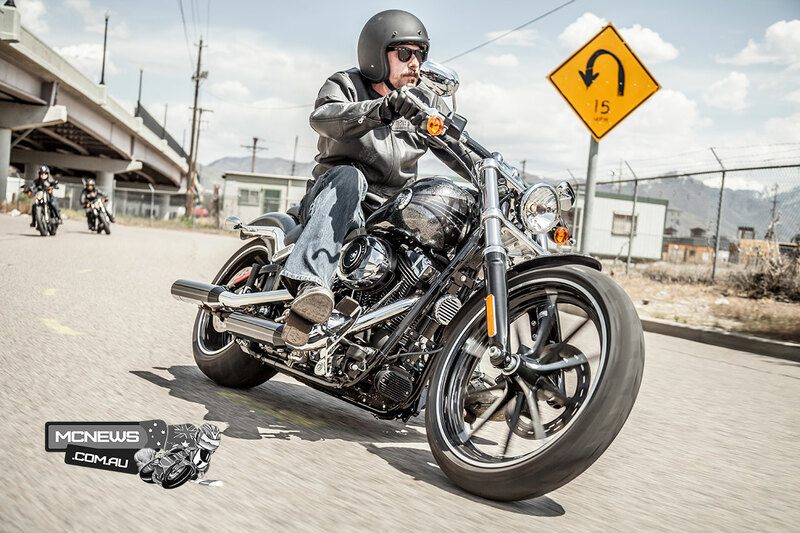 Harley-Davidson FXSB Breakout is the outright biggest selling motorcycle in Australia across all categories. Honda continue to lead the way in overall motorcycle sales results when all sectors of the market are combined but once again Harley-Davidson rules the roadbike market. Yamaha lead off-road sales. Motorcycle Sales down 7.8 per cent (all sectors) Road sales retract 14.9 per cent Dirtbike sales drop 5 per cent Harley-Davidson FXSB Breakout is the outright biggest selling motorcycle in Australia across all categories. Honda continue to lead the way in overall sales when results from all sectors of the market are combined but once again Harley-Davidson rules the roadbike market. In fact, the Harley-Davidson FXSB Breakout is the outright biggest selling motorcycle in Australia across all categories. Besting even Honda’s NBC110 as used by Australia post, 1092 sales of the Breakout versus 1086 units for the NBC110. 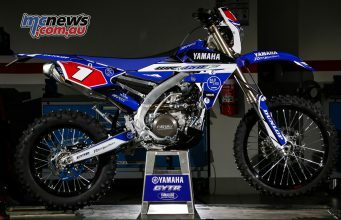 Yamaha’s WR450F was next best, third overall, and the biggest selling off-road bike. Road bikes were again the highest volume segment, with 29,625 sales or 40.5 per cent of the total motorcycle market. This volume represents a decline of 14.9 per cent on road bike sales for the corresponding nine months of 2016. But even H-D are not immune to the overall sales downturn with sales of the American icon down almost ten per cent compared to the same period in 2016. Honda slipped further behind Harley in roadbike sales, but significantly strengthened their buffer over third placed Yamaha. 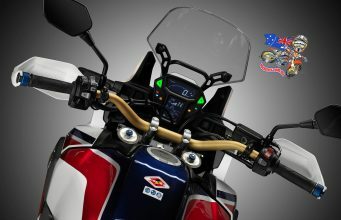 Despite having an incredible armoury of roadbikes, including the highest performing learner legal offerings in the market, and an enviable range of dirtbikes, even Yamaha took a significant hit, overall sales across all sectors combined down 14.3 per cent, but down 27.7 per cent in roadbike sales. Suzuki, KTM, Polaris and BMW round out the top eight, but that entire quartet also recorded slumps of ten per cent or more compared to what was in itself a relatively lacklustre 2016. Triumph took a hefty hit this year, but it must be said that result comes off the back of an unprecedented run of growth for the brand, as they rose strongly on the back of a cavalcade of new models in 2016. KTM held their hard won ground in the road bike market and the Austrian manufacturer is not too far shy of threatening Ducati for eighth place in road motorcycle sales. Overall, road motorcycle sales were down almost 15 per cent as a whole. Despite this, road sales continue to out-strip off-road sales by a hefty margin, although comparatively off-road sales were down only 5 per cent on 2016 figures. Aprilia and Moto Guzzi are well down but this year a change of distributorship slowed down the supply of vehicles and these brands should start to recover some of that lost ground in the year ahead. Hysoung’s slow miserable death is all but over now with only 21 machines being sold this year, a far cry from the four-figure sales records the Korean brand set only a few years ago. Overall, the road bike market was down 14.9 per cent. Off-Road Yamaha continue to lead the way and still enjoy a hefty lead over Honda, however while Yamaha’s off-road sales were down 8.3 per cent, Honda actually bucked the downward trend and grew their share of the dirtbike market, a 6.9 per cent improvement over the same period in 2016 a great result for Big Red, and it is this segment that is performing most strongly for the brand this year. KTM are still very strong but like most in the off-road segment saw their sales contract, down 13.5 per cent while Kawasaki slipped 7.8 per cent. Suzuki’s carry-over models for 2017 hurt their sales resulting in a 20.2 per cent downturn. Husqvarna continued their stellar growth path of late, growth of more than 30 per cent for Husky was a great result and if their current trajectory is retained they might start threatening to move past both Kawasaki and Suzuki in off-road sales. The scooter market continues to contract, down 14 per cent across the sector. Yamaha, Aprilia and BMW suffering the biggest drops in scooter sales while Suzuki managed to buck the trend a little, recording a modest increase. Suzuki’s Address is Australia’s top selling scooter. Piaggio the biggest selling scooter brand ahead of Honda and Vespa. Vmoto, the Asian brand that took the scooter market by storm a decade ago registered zero sales in 2017. Conversely, ATV sales remain quite strong. For every scooter sold, there are six ATV machines leaving Australian dealerships. In fact, ATV sales make up more than 20 per cent of the overall Australian market. North American brand Polaris leads the way in ATV sales ahead of Honda and Yamaha. Suzuki lost the most ground in ATV sales but still remains ahead of Kawasaki, who conversely experienced the best growth figures amongst the four-wheeled machines.